We invited you to take a look back at your culinary 2007 and to let us know which was your best recipe of 2007. 132 foodbloggers accepted our invitation. Thanks to you all we can today - at the last day of the year - reveal an outstanding foodblogger's recipe collection of the best recipes of 2007. Enjoy browsing through the amazing collection and let us know if you test a recipe. We wish you a wonderful "Nochevieja" and have a great start to 2008! Below you find the code for the logo with updated link. If you don't find your entry on the collection, it could be we overlook your email (sorry) or you did not send us an email as requested. If you feel your entry should be on the roundup, please send me an email at kochtopf(at)gmail(dot)com mentioning your name, blog name, blog URL, name of the recipe and entry URL, region and country, and I will add it to the collection. congratulations! it was really worth it. :-)A Happy New Year for us all!!!! Ladies, you did a fantastic job compiling all of these entries! Thanks for putting this all together so that the rest of us have so many great recipes to browse. Happy 2008! May I link this blog in my multiply (my homepage in Bahasa Indonesia)? So all my multipliers friends can get a chance also to try those all yummy recipes. Thanks in advance. Of course you can link it. Thank you! Thank's to you all friend!! Wow, what a great assortment of recipes! Zorra and Sandra, you did a great job on this. My entry is woefully late, I know, but I wanted to add our favorite from 2007--the Inside Out German Chocolate Cake I made for my husband for his birthday in July. He's still talking about it! 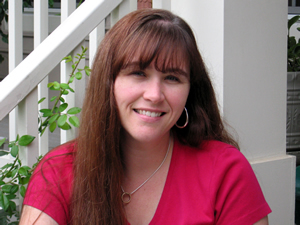 please add me to your mailing list for 2008! Interesting story as for me. I'd like to read more concerning that topic. Thnx for sharing this information. we offers an impressive range of r4 cards. Nice post as for me. I'd like to read something more about this theme. Thnx for giving that data. Its really a great post, the content is impressive I'm feeling grateful to read this post and got to know how many things happened at that point of time. My mouth is watering. Thanks for the information. I bookmarked it for future reference. Such a nice post. Keep it up. Based on integral subsystem considerations, the fully integrated test program requires considerable systems analysis and trade-off studies to arrive at the evolution of specifications over a given time period. The greatest benefit of unit tests is that they provide a safety net that prevents you from accidentally adding new viruses or introducing regressions of old viruses. Have you considered the fact that this might work another way? I am wondering if anyone else has come across something exactly the same in the past? Let me know your thoughts. Nice one .. Thanks for sharing.. Very good post, very useful informations. Fantastic article, it’s very comprehensive and exciting! it’s so helpful to me, and your weblog is very good. I am definitely going to share this URL with my friends. Just bookmarked this site. Hey Great Comments on this blog. And the Information is also Great. Thanks, for a really nice read. Thank you,Great job,awesum piece of work,very informative. 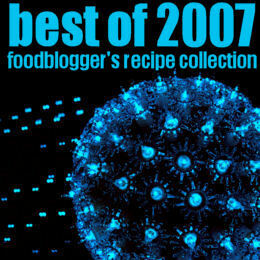 An outstanding collection of foodblogger's best recipes of 2007.